Katya Valeska | The Ego Co.
Merry Little Christmas and a most joyous holiday season! I hope you all have a great time full of love, laughter and everything bright. Even if you’re very busy this season, make sure to say hello and brighten someone’s day. I’ll see you all in the New Year. One of our sponsors for Around the World (hosted by The Ego Co.) is 22769 ~ Casual Couture. Mr. Pooley and Mr. Ormidale have designed an amazing couture set for their sponsored theme of Africa. The colors are stunning as well as striking, and I’m sure to be an amazing hit when we open up on the 15th! Make sure you take your plane down to Africa when you attend this event on Thursday, November 15th starting at 12pmslt! 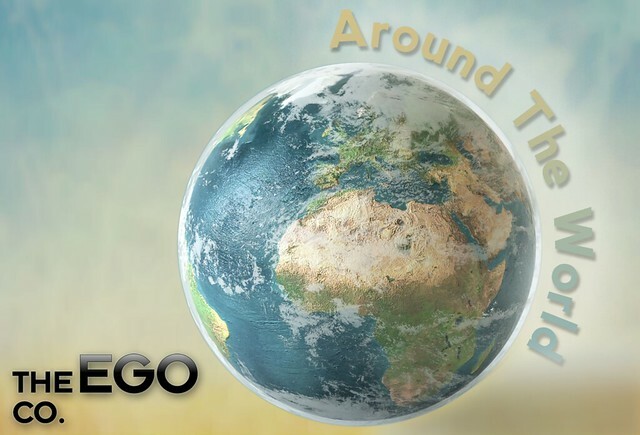 A great event is coming to the grid starting on Thursday, November 15th called Around the World which is sponsored by The Ego Co. This fun-filled event is a glorious shopping experience for the masses, centering in on the nine regions of the world while bringing together numerous different designers and creators across the great Second Life Grid! This shopping experience will open up at 12pmslt and last until November 29th, 2012. Make sure you come down and check out the amazing items and build when you get a chance! (Landmarks will be posted on the 15th). 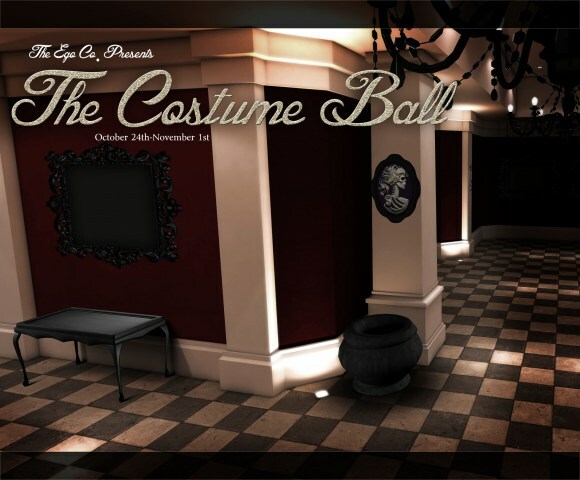 Tomorrow on Wednesday, October 24th – The Ego Co will be opening up a small little event called The Costume Ball. It’s an intimate affair with a few friends and oh so intricate designs. One of the designers is Izzie’s who is showcasing her lovely newest skin Fuyu in a special Costume Ball Edition. The paleness of the look works wonderfully well with the ethereal darkness of GizzA’s creation Fiers de la Haute for this month’s FAIR . The Costume Ball will be from October 24th through November 1st – See you there! On October the 24th, The Ego Co will be presenting The Costume Ball ~ A whimsical, gothic and frightening experience held at the Fable sim. With over twenty-five designers, this small dark soiree is sure to be a wonderful hit! One of many items to be found is this beckoning call from [Pink Fuel]. Femme Fatale comes in Kumi (Java) and Alyx (Vanilla, Peach, and Ivory) and with it’s own make-up and brow colors. I am wearing Alyx in Peach called Siren, which I absolutely loved the red red lips. It seemed only fitting to give myself my own femme fatale look and pair it off with the Mini Deep Club Dress in Red from [Haste]. It’s plunging neckline leaves not much to be imagined, but at least I’m a bit covered. Lastly, the jewelry is new and soon to be coming from Caelan Hancroft! She’s been hard at work in making such simple and yet elegant mesh pieces, and I’m looking forward to her store opening up soon! So remember! The Costume Ball opens on Wednesday, October 24th! Mark your calendars! Cae :: will be opening Soon! And you can pick up this smexy dress over at Fable at the [Haste] store NOW!